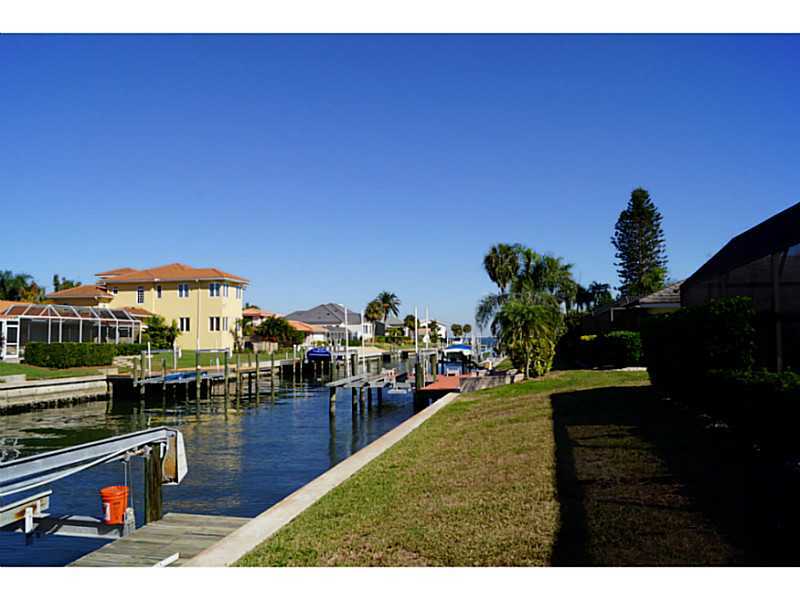 Marty Garcia | Sarasota & Bradenton Florida Real Estate & More! Lakewood Ranch ready to double residents and businesses! The number of residents and businesses in the master-planned community of Lakewood Ranch are expected to almost double over the next decade. To that end, the community straddling Sarasota and Manatee counties is moving forward with expansions in both its northern and southern districts — the most ambitious push by Lakewood Ranch developer Schroeder-Manatee Ranch Inc. since the market spiraled into recession some six years ago. Growth already is taking shape north of State Road 70 — where nearly 700 acres of empty cattle pastures could soon give way to several thousand homes, new hotels and a retail hub that would rival anything now offered in the ranch. If it comes to fruition, the proposed Lakewood Centre also will add elements of new urbanism to the community — with homes conveniently located within walking distance of work and entertainment. The project dovetails with the new Mall at University Town Center now under construction and housing subdivisions sprouting along the Interstate 75 corridor, developments that have pushed the majority of the region’s new projects to mostly rural areas to the East. The proposed Lakewood Centre will be north of State Road 70 and south of Malachite Drive, between Lakewood Ranch Boulevard and Pope Road. Plans call for 4,683 new residences, more than 3 million square feet of commercial and retail space, and 300 hotel rooms. The project has an estimated completion date of 2026. Coupled with 4,500 additional residential units also planned as part of a northwest expansion in Lakewood Ranch — and a push by SMR to build near its southern borders in Sarasota County — Lakewood Centre could more than double the community’s population of about 16,000. Manatee County commissioners approved a change to their master comprehensive plan in 1999 that allows SMR to move forward with the mixed-use development. Company planners have spent the years since scouting other town centers, in areas like Palm Beach and Colorado, for ideas. Now, they are ready to build. The first phase of Lakewood Centre already is underway, with the completion of the Lost Creek Apartments on Lakewood Ranch Boulevard. Just north of State Road 70, the 272-unit complex debuted in January 2012 and was fully leased within seven months, according to SMR. Thanks to that response, the Winter Park developer that built Lost Creek shelled out another $3.2 million in September to buy 17 more acres next door. There, the company plans to build another 256-unit apartment complex, records show. Creekside Ranch Apartments LLC took out a $24.3 million loan from Synovus Bank to finance that September land deal and the subsequent development of apartments on the site, court records show. SMR sold 24 acres of land in late November to a multi-family housing developer that plans to build another 280-unit apartment complex there. DD Sarasota II LLC, a subsidiary of Atlanta-based Davis Development, bought the site for $3.8 million. Representatives from SMR confirmed Davis Development intends to build the complex at Pope Road near State Road 70. Pokrywa said residential development will continue to be the focus of Lakewood Centre throughout 2014; commercial and retail projects will follow later, when enough residential building has taken place and sold to support it. Because Lakewood Centre could take more than a decade to complete, the flexibility of the current zoning approvals are key, Pokrywa said. That is because it is hard to foresee if the market will continue humming for that long without another economic hiccup. But even when Southwest Florida’s housing market came crashing down in 2007, Lakewood Ranch did not feel quite as much pain as other parts of the region did. And now that the market is recovering, Lakewood Ranch appears to be leading the way. The new urbanism design — and higher density — of Lakewood Centre also is poised to bode well for baby boomers who are expected to migrate to Florida over the next several years. These empty nesters are among the roughly 76 million soon-to-be retirees born between 1946 and 1964 who are leading the state’s robust housing recovery. For that reason, industry observers are confident demand will support the northern expansion over the long run. As of Oct. 31, builders had sold 518 new homes in Lakewood Ranch this year, an 8.1 percent increase from the same time in 2012 and a 55.6 percent jump from 2011. At the same time, only about 145 resales are listed on the active market, and 321 homes are under various stages of construction. Like its residential component, the 3 million square feet of commercial space in Lakewood Centre will be rolled out in phases, with commercial nodes in different areas of the community. Lakewood Ranch planners say it is still too early to gauge the nature of the anticipated retail. Much will depend on need, market conditions and what other projects — including the Mall at University Town Center — are built. But current trends bode well for future Lakewood Ranch commercial development. Already, the 2.3 million square feet of total commercial space in Lakewood Ranch has the lowest vacancy rate in the region, at 8.3 percent, according to figures compiled by the two counties’ economic development offices. That compares with 13.1 percent in downtown Sarasota; 26.1 percent in unincorporated Sarasota County; 22.2 percent in Manatee County; and 29.4 percent in downtown Bradenton, records show. 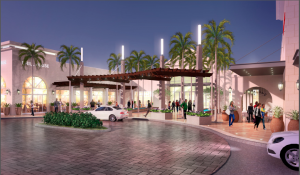 SMR envisions more ground-floor retail in Lakewood Centre, with small offices and condominiums on upper levels — similar to the design of Lakewood Ranch’s Main Street. The master plan also calls for trails that will connect the different uses in Lakewood Centre with other villages of Lakewood Ranch to improve walkability. 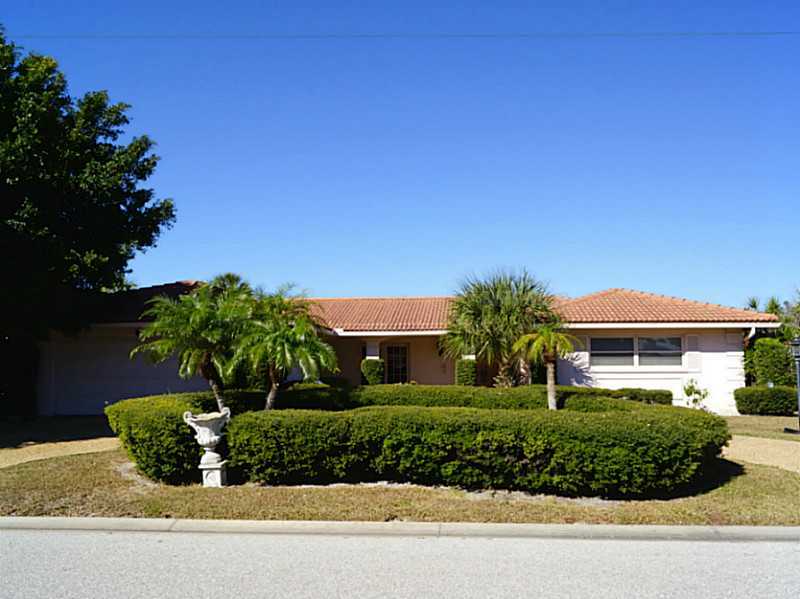 Interested in buying or selling in Lakewood Ranch, Sarasota or Bradenton Florida? Call the C & G International Realty Today! 941-556-5030 or 941-266-3872. We would be delighted to help you in your real estate needs! Check out our new listing- This 3/2 Family home in Ancient Oaks is a MUST SEE! Click on the photo for more images! Interested in viewing this home call us now! or for any of your Real Estate needs call 941-556-5030. Villages of Lakewood Ranch South project finally moves forward after 3 years of inactivity! After more than three years of inactivity since it was first approved, the Villages of Lakewood Ranch South project is beginning to move forward. The massive housing and business development south of University Parkway and east of Interstate 75 overcame a significant barrier Wednesday, with the Sarasota County Commission’s unanimous approval of an amendment to its contract with project developer Schroeder-Manatee Ranch Inc.
“We can see the light at the end of the tunnel,” said Todd Pokrywa, vice president of planning for SMR. The amendment to the 2010 agreement allows the developer to begin residential construction on the 5,500-acre project before some roadway improvements are completed. SMR has committed to extend Lakewood Ranch Boulevard as a four-lane roadway from its terminus at Communications Parkway to Fruitville Road, extend Lorraine Road as a two-lane road from University Parkway to Fruitville Road and build an east-west connecting road from Lakewood Ranch Boulevard to Lorraine Road. It will pay the full cost of all three projects. SMR has also pledged up to $7.5 million for another proportionate share road project with the county. The amendment approved Wednesday gives them the option of putting that money toward a possible east-west connector overpass from the Villages project over Interstate 75 and Cattlemen Road. Officials say that project could be an alternative to improvements to the interchange of University Parkway and Interstate 75 proposed by the Florida Department of Transportation. The other option is for SMR’s $7.5 million to go toward construction of a four-lane Iona Road between Fruitville Road and Palmer Boulevard. The Villages project has at least one more hurdle to clear: an amendment to the Development of Regional Impact plan SMR plans to file within a few months, Pokrywa said. Lourdes Ramirez, president of the Sarasota Council of Neighborhood Associations, urged the commissioners to make infill development a first priority before allowing more growth eastward. “The fact is, a lot of people travel here, but regional sprawl coming from Manatee is also the same as regional sprawl from eastern and rural areas of Sarasota County. They both will wind up clogging our roads,” Ramirez said. Commissioner Joe Barbetta said the past three and a half years since the project was initially approved have been a “protracted process” and that he’s eager to see work begin. Pokrywa said if the forthcoming amendment is approved, SMR could be ready to begin design and construction of required infrastructure for the Villages and thousands of new homes in late 2014 or 2015.